New Zealand Bloodstock Memsie Stakes The Memsie Stakes will officially kick off the 2018 Spring Racing Carnival. 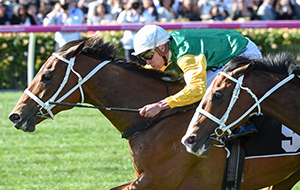 For horses aged three years old and older, the Memsie Stakes has produced some noteworthy winners in recent years, with dual Cox Plate winner So You Think first past the post in 2010. Former West Australian galloper Black Heart Bart, trained by the irrepressible Darren Weir stable and ridden by Brad Rawiller, justified favouritism when winning the race in 2016, while Craig Williams and Vega Magic took the honours last year. PFD Food Services Makybe Diva Stakes Run at Flemington on Saturday, 15 September, the Group 1 Makybe Diva Stakes heralds the start of quality middle distance racing for the 2018/19 season. The feature race of the Sofitel Girls’ Day Out is named in honour of wonder mare Makybe Diva, the three-time winner of the Melbourne Cup. Won by quality horses such as Palentino, Southern Speed, Shocking, Weekend Hussler and Northerly in recent years, the 1600m weight-for-age race has traditionally unearthed a star of the spring. Charter Keck Cramer Moir Stakes If like us you think there’s something truly magical about watching thoroughbred horses race under lights, then Moonee Valley is the place to be the night before the AFL Grand Final. Some of the fastest sprinters in the land will contest the Group 1 Charter Keck Cramer Moir Stakes over 1000m – blink and you’ll miss them. Moonee Valley’s first Group 1 race of the season was won twice by arguably Australia’s greatest ever racehorse, Black Caviar. Hyland Race Colours Underwood Stakes A traditional pointer to some of the Spring Racing Carnival’s biggest contests, the Underwood Stakes is a Group 1 weight-for-age race which will be held over a distance of 1800 metres at Caulfield on Sunday, 30 September. Won last year by the Murray Baker-trained Bonnevalt, the race usually attracts top-class gallopers and carries a prize fund of $750,000. Past winners include It’s A Dundeel (2013), Ocean Park, (2012), So You Think (2010) and Northerly (2001-2002). Keno Sir Rupert Clarke Stakes Ran over 1400m at Caulfield, the Sir Rupert Clarke Stakes has produced several notable winners in recent years including Encosta De Lago (1996), Testa Rossa (1999 and 2000) and Exceed and Excel (2003). All three have proven to be just as successful as stallions, siring multiple Group 1 winners between them. Seppelt Turnbull Stakes First run in 1865, the $500,000 Turnbull Stakes (2000m) was dominated last year by Winx. A Group 1 for horses aged four years or older, the Turnbull Stakes is considered a major preparatory race for the Spring Racing Carnival’s three Majors: the Stella Artois Caulfield Cup, Ladbrokes Cox Plate and Lexus Melbourne Cup. In 1948, the race was renamed after Richard Turnbull, the then-Chairman of the Victoria Racing Club. Ladbrokes Caulfield Guineas The Ladbrokes Caulfield Guineas, run on Saturday, 13 October at 'The Heath', is widely considered one of the key ‘stallion-making’ races on the Australian calendar, thanks to the plethora of champion sires which litter its esteemed honour roll. First run in 1881, the 1600m race for three-year-olds has been won by the likes of Heroic, Vain, Redoute’s Choice and Lonhro. Schweppes Thousand Guineas A highlight race of the Spring Racing Carnival, the $500,000 Schweppes Thousand Guineas is a 1600-metre race held exclusively for three-year-old fillies. Some of racing’s fastest fillies have taken out the feature mile, including Atlantic Jewel, Miss Finaland, Alinghi. Wenona Girl and last year, Aloisia who delivered trainer Aaron Purcell his first Group 1 victory. 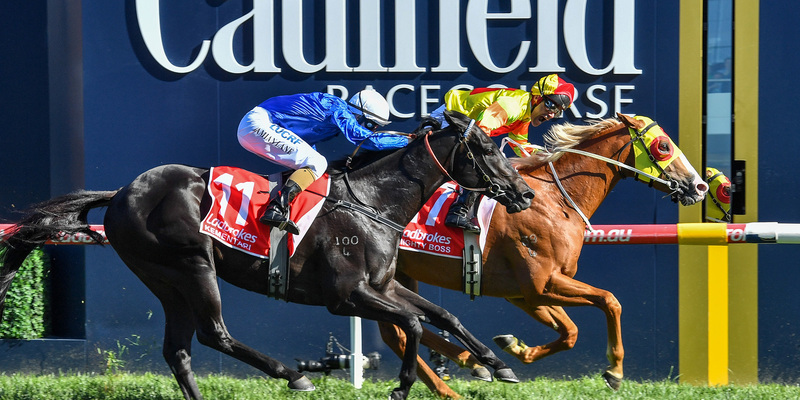 Ladbrokes Stakes Held on Caulfield Guineas Day, the Ladbrokes Stakes is ran under weight-for-age conditions over 2000m and carries $1 million in prizemoney. The winner of the race is exempt from the ballot for the Caulfield Cup, which is held one week later. 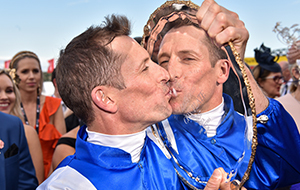 Often regarded as lead-up to the Ladbrokes Cox Plate, Australasia’s weight-for-age championship, the 2016 edition was won by the mighty mare, Winx. United Petroleum Toorak Handicap The time-honoured Toorak Handicap dates all the way back to 1881, and is one of four Group 1 races held on Caulfield Guineas Day. The race is an open handicap over 1600m and was won last year by Darren Weir’s Japanese import, Tosen Stardom, who went on to claim a second Group 1 during the Spring Racing Carnival in the Mackinnon Stakes. Stella Artois Caulfield Cup Officially the world’s most lucrative 2400-metre handicap race, the $5.15 million Stella Artois Caulfield Cup (2400m) was first run in 1879. The highlight of Melbourne Racing Club’s Caulfield Cup Carnival, the Group 1 Caulfield Cup has produced a host of Australian and international winners including Phar Lap, Tulloch, Ming Dynasty, Taufan’s Melody, Mongolian Khan and, in 2017, Boom Time. Ladbrokes Manikato Stakes The Ladbrokes Cox Plate Carnival incorporates two unique race meetings starting on Friday, 26 October with Ladbrokes Manikato Stakes Night, in which the nation’s best sprinters clash for a share of $1 million in Australia’s richest race under lights. Run the night before Moonee Valley’s premier race day, the Group 1 Manikato Stakes meeting is the perfect lead in for the main weight-for-age event. From 1968 to 1983, the race was known as the ‘Freeway Stakes’ but was renamed the following year to honour champion racehorse Manikato, who dominated at ‘The Valley’ in the 1980s. Ladbrokes Cox Plate Billed as the weight-for-age championship of Australasia, the Ladbrokes Cox Plate is the ultimate test of speed and stamina. The W.S. Cox Plate is held annually at The Valley, a tight-turning and undulating racecourse that lends itself to exhilarating racing and an electric atmosphere. First held in 1922, this year marks the 98th running of a race won by an array of subsequent Hall of Fame inductees, including three-time winner Winx. AAMI Victoria Derby Held on the opening day of the famous Melbourne Cup Carnival, the Group 1 AAMI Victorian Derby (2500m) is widely regarded as Australia's blue riband staying event for three-year-olds. Boasting an honour board littered with racing heroes, the Derby predates the Melbourne Cup by six years and in 2017 was taken out by the David Payne-trained Ace High. Kennedy Mile The Group 1 Kennedy Mile is a blockbuster 1600-metre race was previously known as the Emirates Stakes and held on the final day of the Melbourne Cup Carnival. Inaugurated in 1919, the race is considered by some as Australia’s foremost mile race and has been won by the likes of Amounis, Aquanita, Vain and Better Loosen Up since its inauguration. Myer Classic The Myer Classic is a $500,0000 race for fillies and mares held on the opening day of the Lexus Melbourne Cup Carnival. The 1600m race has produced notable winners, such as Typhoon Tracy who was crowned Australian Racehorse of the Year in 2009/10, and more recently Anthony Freedman’s multiple Group 1 winner Shoals. Lexus Melbourne Cup Famously known as ‘the race that stops a nation’, the $7.3 million Lexus Melbourne Cup is widely regarded as Australia’s premier staying event. Schools and workplaces come to a grinding halt on the first Tuesday in November when the testing two-mile race is held. In 2015, the Cup was won by the Darren Weir-trained Prince of Penzance at 100-1 with Michelle Payne aboard - the first female jockey to ever win the race. Mackinnon Stakes This 2000m weight-for-age race will again be held on the final day of the Melbourne Cup Carnival. Last year, Tosen Stardom added his name to an impressive rollcall of champions which includes So You Think (2010), Grand Armee (2004), Lonhro (2002), Champagne (1998), Danewin (1995) and Let’s Elope (1991). Darley Classic The Group 1 Darley Classic is a frantic 1200m dash down the famed Flemington straight for the world’s best sprinters. Conducted under weight-for-age conditions, the $1million Darley Classic boasts a select group of multiple winners including Black Caviar (twice), Planet Ruler (twice) and River Rough (twice). Last year it was Kerrin McEvoy and Redzel who led all the way down the straight and claimed the race. Each year, as winter turns to spring, the city of Melbourne and indeed the entire state of Victoria come alive with excitement ahead of one of Australia’s most historic sporting spectacles; the Spring Racing Carnival. From Saturday, 1 September through to Saturday, 24 November, the nation will again be captivated by a festival of world-class thoroughbred racing. An 86-day extravaganza, the Spring Racing Carnival sees more than 650,000 people descend on the racetrack – and millions more tune in on TV – to witness the world’s best horses, trainers, jockeys and owners competing for over $80 million in prizemoney and bonuses. Whether it’s on the TV, in the paper or at the track, the thrill of racing inspires excitement in us all. And with 136 race meetings spread across Victoria’s famed racing theatres, there’s a whole lot to get excited about. From Flemington to Manangatang, Country Cups to the race that stops a nation, it’s no wonder the Carnival has grown into one of the world’s greatest sporting and social events. This year, the action begins with Memsie Stakes Day at Caulfield, and draws to a close with the Sportsbet Ballarat Cup. 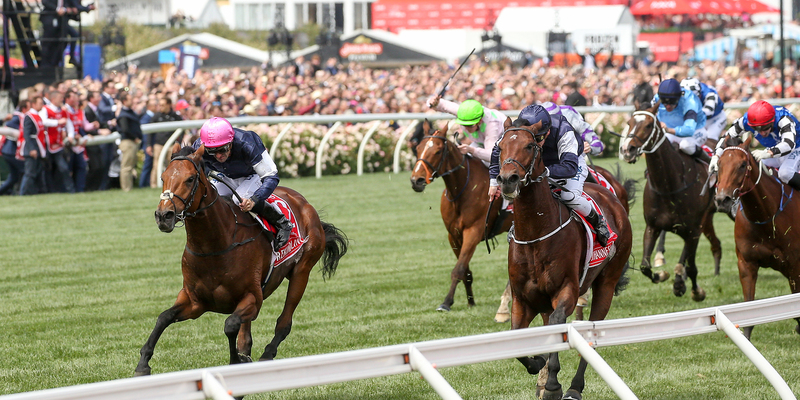 In between, the Carnival features some of the world’s most illustrious Group 1 races, including the $5.15 million Stella Artois Caulfield Cup, the $5.05 million Ladbrokes Cox Plate and, of course, the $7.3 million Lexus Melbourne Cup. The Spring Racing Carnival is a truly spectacular event. Whether watching or partaking, on the track or off it, people are drawn to the thrill of the action as great sporting moments collide with the finest food, fashion, entertainment and the vibrancy of Spring. Discover more about some of the Spring Racing Carnival feature races below.